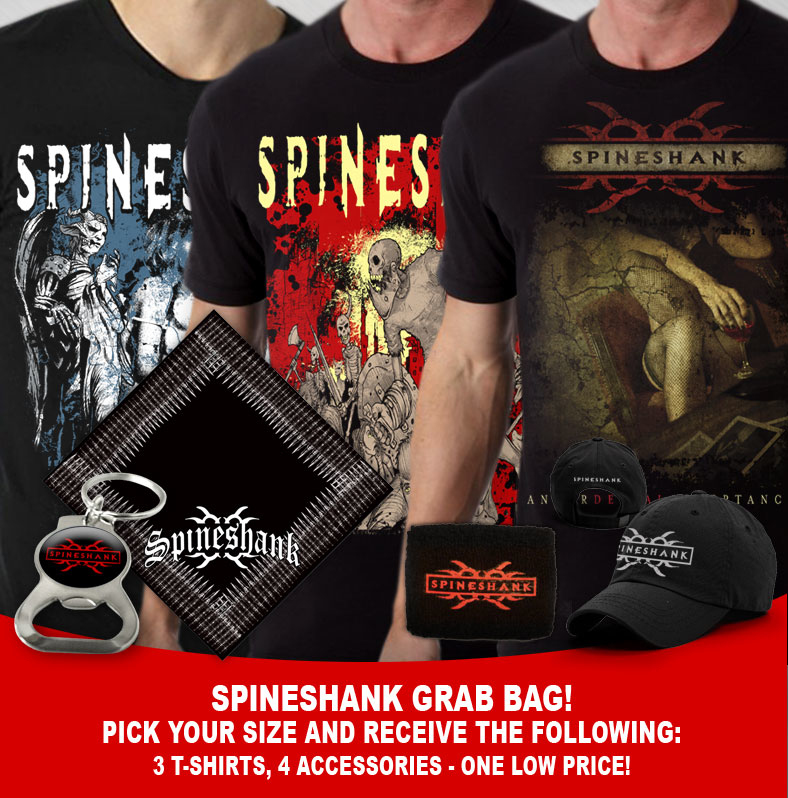 Spineshank - WEB ONLY Special GRAB BAG! 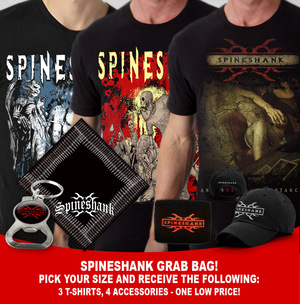 Get 3 Spineshank shirts and 4 Spineshank accessories, all for ONE LOW PRICE!!! Choose your size, and we will send you 3 Spineshank (all different designs) shirts in that size, PLUS 4 Spineshank accessories (keychain, hat, bandana and wristband!) all for one low price of $40! Get yours today, while supplies last!